The endless sands of Rub' al Khali ('Empty Quarter') in southern Arabia. (c) Wikimedia Commons. 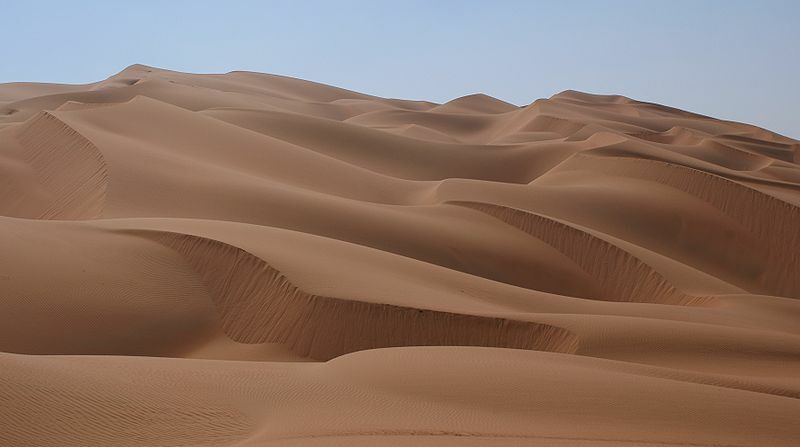 THE ENDLESS, sparsely inhabited sands of the the Rub’ al Khali and Al-Nefud deserts bely a fascination with Arab geography that stretches back centuries. In the fourteenth century, Ibn Battuta and Ibn Khaldun chronicled their travels across the length and breadth of the Arab world; their works inspired European and Asian explorers to seek the Fertile Crescent’s riches, the elusive Badawī (‘Bedouin’) migratory tribes and the exotic ports of the Arabian Sea, the Gulf of Oman, and the Persian Gulf – Aden, Al Mukallā, Dawwah, Muscat and Al Khaşab. Later they were joined by the micro states that presently form the United Arab Emirates, Bahrain, Qatar and Kuwait. The Howeïtát Bedouins occupy the coast from Maghwah to Jebel’ Antar, comprising the mountainous tract which rises about ten miles from the beach, extending as far as the Syrian Hájj station of ‘Akabah [Aqaba]. They were frequently engaged formerly in expeditions against distant tribes in Nejd, from whom, protected by the unapproachable nature of their fastnesses, they entertained no fear of retaliation, and, as bold and expert warriors, they were, before Mohammed ‘Alí obtained so great an ascendancy in Hejáz, much feared by the caravans… (pp. 55-56). Both the shift away from Antarctic endeavours and the Arab theatre of the First World War served to expand the Geographical Society’s fascination with the region, leading to a series of expeditions and important lectures in the 1920s and ’30s. In March 1924, for instance, J B Mackie spoke to the Society on the ‘great oasis’ of Hasa near the Persian Gulf. Bertram Thomas returned to exploration of the Rub’ al Khali in an important series of 1931 articles. In his capacity as financial adviser to the Sultan of Muscat and Oman (itself an outpost of Britain’s informal empire), he travelled by camel into a region that had changed little in the last thousand years. ‘Zuftair was its name, where there was an Al Kathir settlement’, he recalled, ‘The houses are very primitive… usually placed against the side of a cliff where they conceal the entrance to cave dwellings’ (p. 2). The Royal Geographical Society’s longstanding fascination with the Arab world was indicative of Britain’s increasingly complex relationship with the Arab kingdoms. London’s intimate involvement with Oman, the Jordanian, Persian and Iraqi monarchies, Palestine and the formation of the state of Israel resulted in a region beset by contradictions. From a strictly exploratory standpoint, the Arabian Peninsula provided the Society with a new opportunities to uncover, analyse and diffuse ancient civilisations. But its findings also arguably spurred imperial appetites. Recent Middle Eastern strife has reinvigorated geographical interest in the Arab World; in particular, why some states have collapsed while others remain largely peaceful. 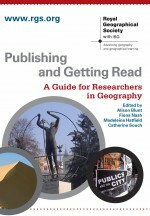 Recent analyses in The Geography Compass, The Geographical Journal and Transactions of the Institute of British Geographers have delved into the fundamental questions that lie at the heart of the region’s fast-changing affairs. What role does transnational, migratory behaviour play in Middle Eastern society? What role will Islam play in the contemporary Arab world? How will the implementation of more democratic, ‘Western-style’ regimes affect the future of traditional Arab laws? Benjamin Sacks, ‘Oman: the Curiosity of Informal Empire,’ Geography Directions, accessed 27 March 2011. R Wellsted, ‘Observations on the Coast of Arabia between Ras Mohammed and Jiddah,’ Journal of the Royal Geographical Society of London 6 (1836): pp. 51-96. J B Mackie, ‘Hasa: An Arabian Oasis,’ The Geographical Journal 63 no. 3 (Mar., 1924): pp. 189-207. Bertram Thomas, ‘A Journey into Rub’ al Khali: the Southern Arabian Desert,’ The Geographical Journal 77 no. 1 (Jan., 1931): pp. 1-31. Bertram Thomas and B K N Wyllie, ‘A Camel Journey Across the Rub’ al Khali,’ The Geographical Journal 78 no. 3 (Sep., 1931): pp. 209-238. H St John Philby, ‘Rub’ al Khali: An Account of Exploration in the Great South Desert of Arabia under the Auspices and Patronage of His Majesty ‘Abdul ‘Aziz ibn Sa’ud, King of the Hejaz and Nejd and Its Dependencies,’ The Geographical Journal 81 no. 1 (Jan., 1933): pp. 1-21. Richard Gale, ‘The Place of Islam in the Geography of Religion: Trends and Intersections,’ 1 no. 5 pp. (Sep., 2007): pp. 1015-1036. Francis Leo Collins, ‘Transnationalism Unbound: Detailing New Subjects, Registers and Spatialities of Cross-Border Lives,’ 3 no. 1 (Jan., 2009): pp. 434-458. This entry was posted in Geography Compass, The Geographical Journal and tagged Al-Nefud, Arab Conflict, Arab World, Arabian Sea, Bahrain, Cultural Geography, Development, Economic Geography, Environment and Society, Fertile Crescent, Global Issues, Gulf of Oman, Ibn Battuta, Ibn Khaldun, Iraq, Jordan, Kuwait, Muscat, Palestine, Persia, Persian Gulf, Political Geography, Qatar, Rub' al Khali, United Arab Emirates on March 27, 2011 by Benjamin Sacks.